Updated: Clarified wording to make clear that two versions exist. HMD Global today announced the Nokia 3310 3G, an updated version of its retro feature phone announced earlier this year. 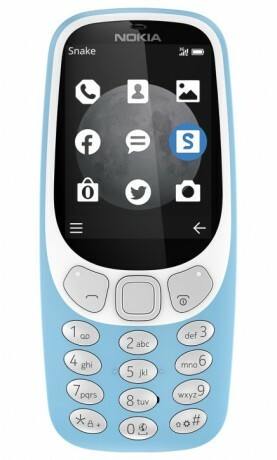 The new model is slightly larger and has a new interface, but externally looks like the 2G version of this year's 3310. The design is inspired by the 3110 that was one of Nokia's best-selling GSM phones when cell phones were first taking off globally. The 3310 3G comes in two versions, one of which has quad-band GSM and WCDMA 1/2/5/8, which would support AT&T's network in the US. It also has a 2-megapixel camera, a memory card slot, Bluetooth, and and FM radio. It will go on sale next month, first in Australia. HMD Global, the maker of Nokia-branded handsets, today said the 3310 3G will be available in the U.S. through Best Buy. Nokia today introduced a new version of the old Nokia 3310 phone. It includes a color screen, Snake, and the original Nokia ringtone. HMD Global today announced the Nokia 8.1, a devices that blends high-end design and performance in an affordable package. The 8.1 is a metal and glass slab.